Compare Car Rental at Funchal - Cristiano Ronaldo Airport, Madeira. Get Cheaper MPV, SUV & minivans. Save on car hire costs at Funchal Airport, Cristiano Ronaldo, in Madeira from a number of car hire companies, who all offer discounts on their usual rates. Choose your automobile, from Auto Jardim, Guerin, Rodavante and a few others. Vehicles can either be collected at the Airport, or in town, or delivered to your hotel. ars:- Ford Ka, Opel Corsa automatic, Jeep Wrangler 4x4, VW Caddy. Or perhaps the Citroen Berlingo or Citreon C4 Turbo diesel, suits you better. Going golfing in a large group? Then the ever popular Renault Traffic, Ford Galaxy or VW Transporter. This is not forgetting the new and punchy Nissan Cabriolet, perfect for summer driving. Some Madeira hire companies, will have a desk located in the arrivals hall, for example Auto Jardim and Guerin. Others such as Rodavante offer a meet and greet service. 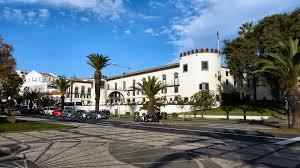 Funchal Airport is situated 18kms from the downtown Funchal. 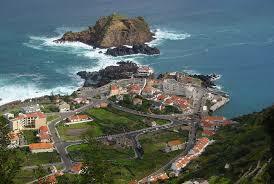 It is located on the southern coast of Madeira. It is small, but functional, one terminal airport, which is very busy in the summer months, so pre-booking your automobile makes sense. Flights are mainly by charter flights such as Thompson Travel. The airport is equipped to handle the disabled, with lifts, ramps, wide access toilets and reserved parking, close to entrance. A very good selection of cafes, bars and restaurants are spread throughout the airport. Travel agencies have kiosks in the airport and will happily assist with hotel booking, car hire or onward travel. Madeira, or the floating garden, got the name from its rich volcanic soil, that enables the production of a wide range of crops from bananas to the famous Madeira grape. Small and diverse in landscape, it is an all year round destination, that provides a first class service to the tourist. Luxury hotels, villas, bars, cafes and a wide variety of restaurants, not forgetting the nightclubs and jazz clubs. 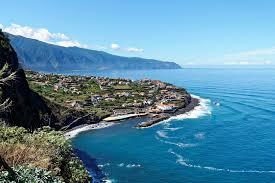 Compare cheaper Funchal Airport holiday auto prices here. Save on MPV costs for Funchal when book today. 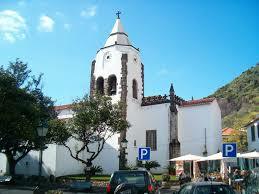 Collect at Madeira Airport, in town or have delivered hotel. SUVs at reduced rates in Madeira. 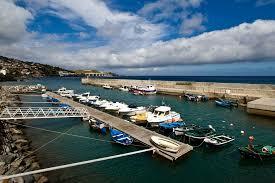 Good quality vehicles and service in Funchal. Minivans to seat 7 on Madiera. If you need a break form the beach, then Funchal will not disappoint you. If you have an interest in horticulture, then visit the Monte Tropical Gardens and the Quintado Palheiro Botanical Gardens. Venture further out of town to visit the vineyards and sample the delicious wines of Madeira. For a more rugged and changing scenery, take your rental vehicle to the north coast. Please be aware that the roads are narrow and twisting, so a small car may make the drive less stressful. Whilst in this region, look out for triangular houses, which are the traditional homes of the islanders. Taxis are cheap and are the preferred transfer option for most tourists, after along flight. They operate 24 hours a day, but If you are off on along trip it can work out expensive. It is a one flat hourly rate for both long and short stays. The other option is to hire a car at Funchal Airport. 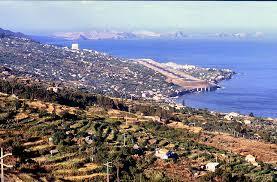 This applies particularly if your villa is located some distance from the airport or Funchal town. There is ample car parking in front of the terminal. Parking for the disabled is reserved close to the airport entrance. Airport information:- Phone (0) 291 52 07 00. Off to the mainland next? More Portuguese auto rentalrates here.